Recently I lost my father to the horrible disease that so many of us are even scared to say; cancer. Through much love and support of my friends and family, along with lots of yoga practice, I have managed to keep myself grounded and found a passion with in me to help those going through a similar story. 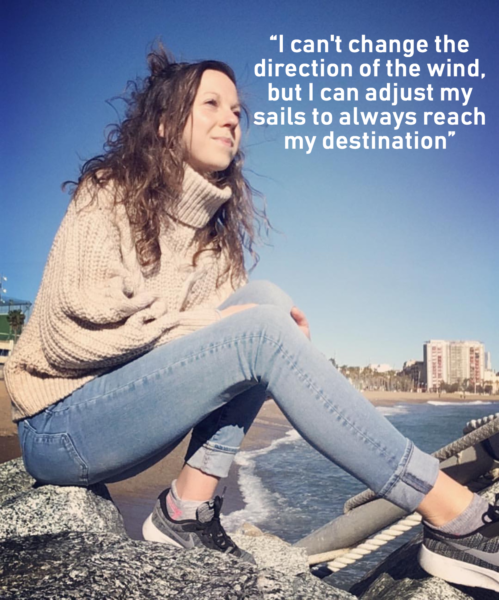 Recently I did the “Yoga for Cancer” course run by Yogalinda and Morven Hamilton to tie my passions together, but also help with some feelings I have been coping with directly. The course did just that. It taught me how to use yoga to provide help for people on their cancer journey, but also those surrounding them. Practical practice was adjusted for those with body parts effected with treatment, covering the several types of cancer treatments. To create further understanding, a simulation for scar tissue was made on us and we had to resume practice, giving us a more conscious idea of what the patient would be feeling, both physically and emotionally. As someone who finds it hard to meditate, it was fascinating to go through so many meditative journeys and unlock emotional caverns I didn’t know existed in me. I feel that the course gives a wide basin of knowledge for those who want to help those and their loved ones on their cancer journey, especially if you already have a Hatha based practice. I have been truly inspired to develop my practice to help those like my father. I think if he had the opportunity it would have helped him both physically and mentally, as it would create a community outside of the hospital; with the support and compassion needed for the soul. I would highly recommend the course and can’t thank Yogalinda enough for blessing me with the new wisdom I now hold. Next Yoga for Cancer Teacher Training Course will be in November 2019, more details here.